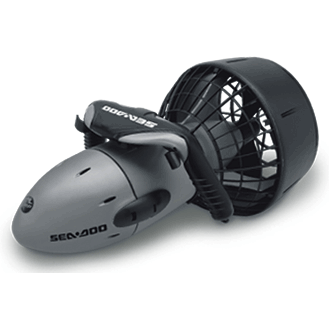 The Sea-Doo Seascooter Dolphin has been discontinued. Don't worry, we have the perfect substitute. 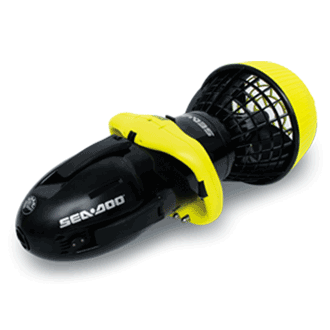 You may like this similar model the Yamaha Seascooter Seal. 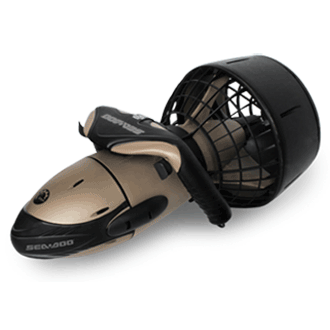 Click here to check out the Yamaha Seascooter Seal one of our newest water scooters. 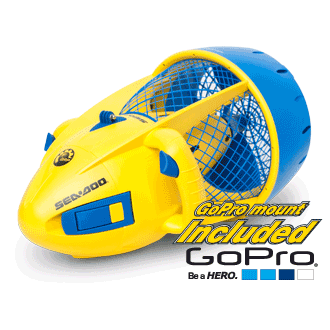 Perfect for the whole family, Sea-Doo Seascooter Dolphin is right at home in the pool and at the beach. It’s compact, lightweight design is just the right size for children. The Dolphin water scooter has safety features such as protective grilles, positive buoyancy (won't sink) and dual throttle control with auto cutoff makes it the perfect seascooter for the kids. With safety features including protective grilles, auto shut-off, dual trigger control and positive buoyancy, the Dolphin is a must for every child or child at heart. 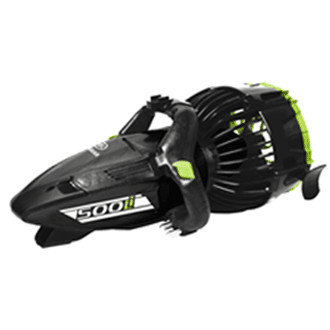 Weighs only 12lbs and offers run times up to 90 minutes. Includes the battery and battery charger and GoPro Mount (GoPro Camera not included).